Great value. We stayed for less than $9USD. The pool and staff were great. Most of the equipment in the workout room was broken, but it was OK because we didn’t even know there was a gym when we booked. I recommend for the value. 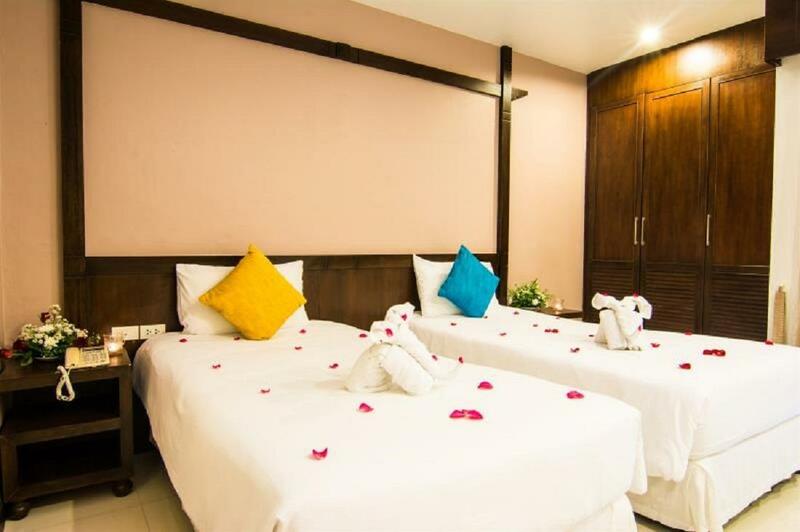 The location of this hotel is good, it’s a short walk from lots of bars restaurants and supermarkets, and close to the Malin Plaza market where you can get really cheap food cooked fresh in front of you. It’s about 10-15 minute walk to the beach too. In the lobby it is a bit run down and a shame that the pool table seen on the pictures is constantly covered up with kettles etc on it ready for breakfast. 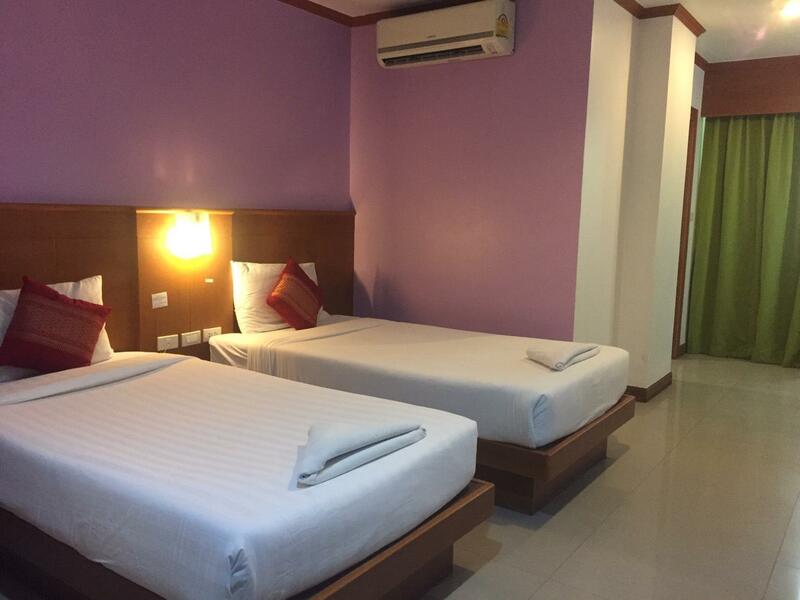 The rooms are spacious but not the cleanest, and the beds are very firm. The bathroom looked grotty and could do with an update. When we arrived there were half used toiletries in the bathroom and these weren’t changed throughout our stay. You have to leave your key at reception when you leave but it does keep you from worrying about losing it. We didn’t try the breakfast but it seemed basic but good. You could take your own food and drinks into the lobby and eat there. We arrived after a long day flying and bus trip and all i wanted is a shower and a good night sleep..... well, we checked in to our double room with 2 single beds and what i found was... one bed with clean crispy sheets and one bed which clearly looked like some one just had a long nap in it. The toilet seat was having a urine stains all around and a bad smell in the bathroom. I kindly approach the receptionist and asked to change the bedding and have the toilet clean but no thing been done, i had to clean the toilet by my self and at the next day they still didn't change the bedding and of course I've done it all by my self. DO NOT FALL TO THE NICE PHOTOS on their web site, the place is definitely nothing like shown in the photos, pls look els where as there are plenty of places around. Highly disappointed. 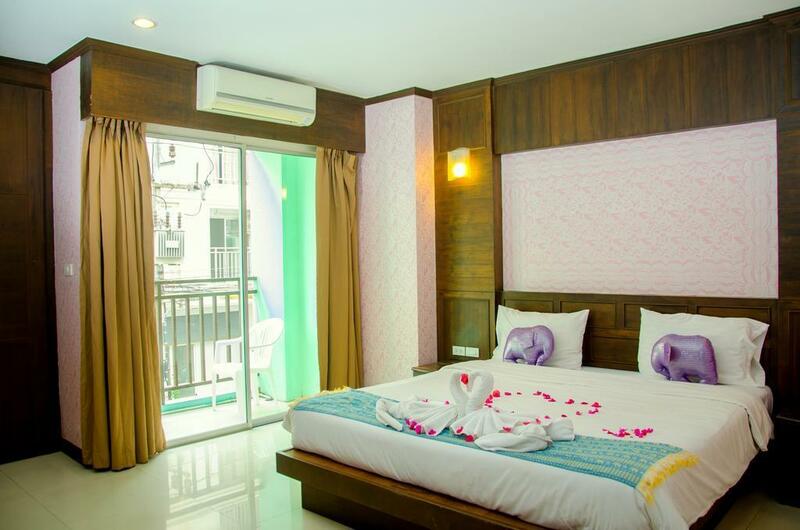 We first had been at a hostel in patong. One of us got sick so we had to stay one day longer in patong. We searched for a good recommended hotel including pool. And found this hawaii hotel in the internet. We came there and had been surprised: - only Russians in this hotel - old fashioned rooms - bad smell in the rooms - it stinks in the bathroom - pool area was not clean We had been in a lot of different Asian counties so far (Thailand, Cambodia, Malaysia, Singapore ...) and I gave in 95% good recommendations because our standard is not that high and we are easy to satisfy But this hotel I really can not recommend! Will never book again! Ok place to stay. 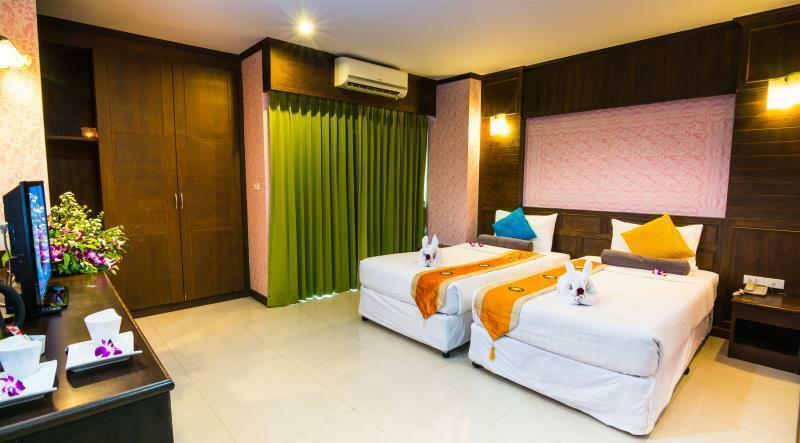 I good a good discount for the room through Agoda, only to realise that its the far end room with no view...no wonder so cheap (ha ha). Be prepared for extreme ends of reception - in the daytime, the receptionist portrays like she owns the place. The evening staffs are more down to earth and friendly. Not much facility though except for the swimming pool and some basic equipment in the gym. Toilet condition could be improved; pls provide a shower screen to the water does not splash everywhere. Room look quite gloomy as few light bulbs blown off. Aircon was noisy, so I used it as lullaby to doze off. Overall 3/5 for my experience. Good staff.clean. Not far from bangla and patong beach. 2 nights extended to 5 nights. The hotel is neat and clean. Provides all facilities mentioned. (Lift available, refrigerator, good AC, daily cleaning and towels provided, (shampoo, Shower cap and soap). Swimming pool on the roof top. Supermarket and food court within 100 meters. Rent a bike is Availble near to hotel. ( small bikes @ 180 and bigger one 250 baht per day) 20 min waking to patong beach, junceleon mall and bangla street which are the major spots in Patong. Bus service to Phuket town (30 baht) is also Available at a walking distance only. Overall great hotel would recommend this hotel and come back for stay again. Traveler get to shower after they checked out the hotel. I spent 4 nights at this hotel. The room is spacious and room service every day. I was staying at fifth floor and it has a big balcony for me to relax and air my laundry. 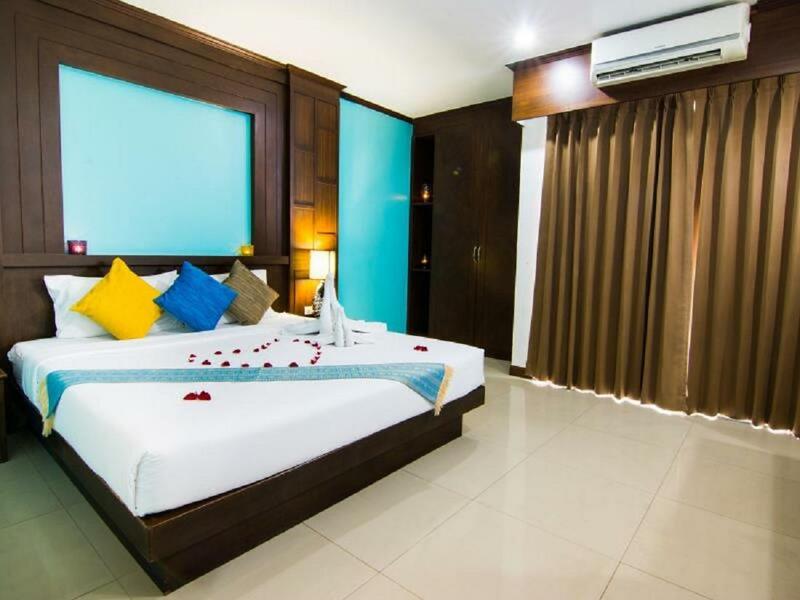 The location of the hotel is pretty close to patong town area, approximately 15 minutes walk to the Jungcelon Shopping centre and 10 minutes to the beach. Wifi speed is superb, but the downside is you need to log on every time in order to access the internet. Otherwise, I am happy with the connection.